Featuring sea views, Finca Jabali is located in Tortosa, 9 miles from Els Ports. This self-catered country house has a garden and grill facilities. 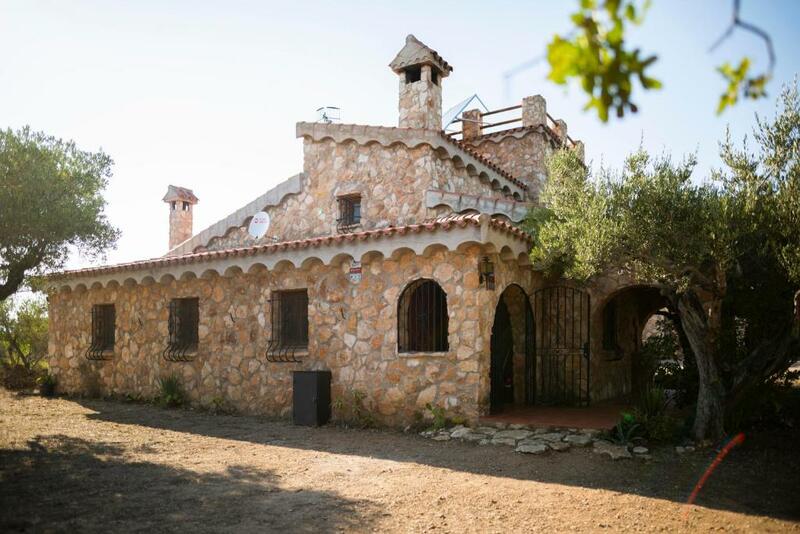 This country house with mountain views features 4 bedrooms and a bathroom with a bath. A flat-screen TV with satellite channels is featured. The country house has an outdoor pool. Guests at this property can enjoy cycling and fishing nearby, or make the most of the sun terrace. Tortosa Cathedral is 9 miles from Finca Jabalí. Reus Airport is 46 miles from the property. When would you like to stay at Finca Jabali? This villa has a private entrance and tile/marble floor. House Rules Finca Jabali takes special requests – add in the next step! We need at least 5 reviews before we can calculate a review score. If you book and review your stay, you can help Finca Jabali meet this goal.